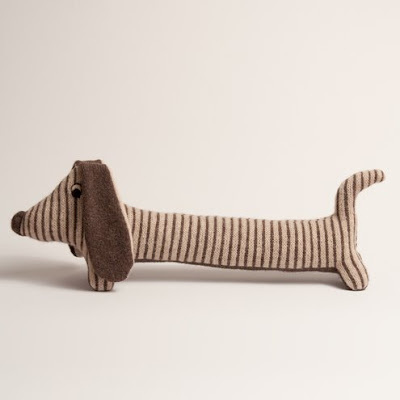 I discovered Sara Carr who designs awesomely cute toys, pillows, gadgets. Please to meet you Henry! Henry has been knitted with lambswool and filled with polyester stuffing. His main body is striped and the under belly and ears are plain. The eyes have been hand sewn using wool.